Connie Swann Gilpin suffers from Cirrhosis of the liver and Hepatopulmonary syndrome, an uncommon condition that affects the lungs of people with advanced liver disease. Her oxygen level is dangerously low and she must be on oxygen 24/7. Her doctors at Vanderbilt University Medical Center have told her that her only option is a life-saving liver transplant. Sadly, she is no longer able to work and do most things we all take for granted. There are few people in the town of Dandridge, TN. who don’t know Connie. She is the loving wife of Bruce, mother of Heath Alvey and good friend to many. You may know her from her days of working at Bush Beans, as a CNA at the Jefferson County Nursing Home, or most recently at BB&T bank. She has taught private piano lessons to many and has shared her God-given musical talent with numerous local churches. She has touched the lives of so many and her loving and caring heart is evident to all who know her. As you can imagine the cost of a liver transplant can be financially draining. Even with insurance, there are many expenses that must be paid out of pocket. Some are co-pays, deductibles, lab fees, travel back and forth to the transplant center, relocation at the time of transplant and Connie will be on a life-time of anti-rejection medications. This is where she needs your support. A fundraising campaign in Connie’s honor has been established with HelpHOPELive, a trusted nonprofit organization that has been providing community-based fundraising guidance to patients and their families for more than 30 years. All donations are tax-deductible, are held by HelpHOPELive in the South-Atlantic Liver Transplant Fund, and are administered by HelpHOPELive for transplant-related expenses only. Please consider making an end of year tax-deductible contribution.To make a tax-deductible donation to this fundraising campaign, click on the Donate Now button. After many years of helping and caring for others, Connie now needs your help. Please consider joining her “Band of Angels!” Keep an eye on this HelpHOPELive campaign page because we will be posting updates regularly and planning some fundraising events soon. On behalf of Connie and her family, thank you for your kindness, generosity, support and prayers. Please continue to pray for Connie and her recovery. She will be returning to Vanderbilt soon for some tests. Don’t forget she needs your help with the bills which continue to come. Even after insurance, the co pays are costly! Ten weeks post surgery and Connie continues to amaze the doctors with her recovery. She no longer needs supplemental oxygen, has completed her therapy and has been given permission to resume driving and go to public places without wearing a mask. We give glory to God for her miraculous progress. Without His intervention she would not be alive. Please consider helping with her medical expenses which, as you can imagine, are a big concern to her. Remember to call Amy before planning your fundraiser! Praise be to God, Connie has been released from Vanderbilt and has returned to Dandridge! Her progress has been amazing and the doctors are very pleased. Thanks to all of you for your prayers. Please consider helping with her finances…her prescription costs alone are over $500 monthly! Great news from Connie! She is being released from the hospital today and will spend some time close by so they can continue to monitor her blood work. There’s a good possibility she may be able to come home soon. Keep praying for her and remember to call Amy before you begin fundraising. Connie has been temporarily transferred back to the hospital so that her medicine regimen can be better balanced by the doctors assigned to her. She has a birthday this Sunday Jan. 10th. Please consider sending her a card. She would welcome the encouragement as would Bruce! Send to: Bruce Gilpin / 301 22nd Ave. N./ Apt. #221/ Nashville, TN / 37203. Also remember to contact Amy at ext #35 with your fundraising questions and plans! Happy 2016! After almost three weeks, Connie continues to recover well. She has been moved to the rehab section of Vanderbilt hospital where she receives daily therapy. She’s been having some issues with painful muscle spasms recently and we pray that this will soon pass. Her staples should be removed soon. Please consider helping her with fundraising now that the Christmas season has passed. She so appreciates anything you can do to help and looks forward to seeing all of you again! Weekly update: Connie continues to improve daily, praise God! She is able to walk a greater distance each day, her need for supplemental oxygen is greatly reduced and she expects to be transfered soon to the rehab center where she will continue her recovery. She is so grateful for all your prayers and to the donor whose life was given for hers to continue. She extends her Christmas blessings and love to all of you! Almost one week after her surgery and Connie is steadily making progress. She is now in transition care, her dietary options are expanding daily and hopefully she will soon be up and walking a bit more. She is having some problems with getting her medication balanced which the doctors say sometimes happens. Once she is released from the hospital she will have 3 to 4 weeks of rehab. Please continue to pray for her and spread the word about her need for fundraising! 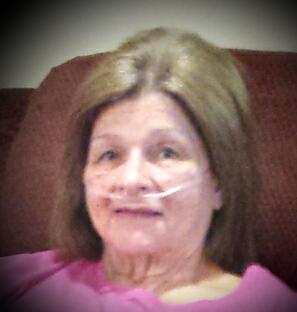 Praise God, Connie received a call from Vanderbilt yesterday morning that a donor liver was available. Surgery was done last night and she is now in ICU. Please pray for her recovery and healing. Let the fundraising begin! Please remember to call Amy (ext. 35) before scheduling a fundraiser. She has lots of helpful information for you! We love you Connie,my husband James and I have you in our prayers daily. Connie, Sending prayers and good thoughts your way. You are such a special person. My heart and prayers are with you dear friend. God will take care of you.